Hot Seller : AV Able XL Style Mechanical Mod for $12.99! 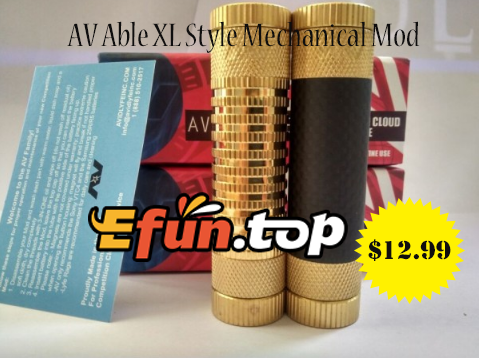 AV Able XL style Mechanical Mod with 510 threading connection,adjustable Brass bottom-fire button with opposing rare earth magnets. Do you know only $12.99 for it!